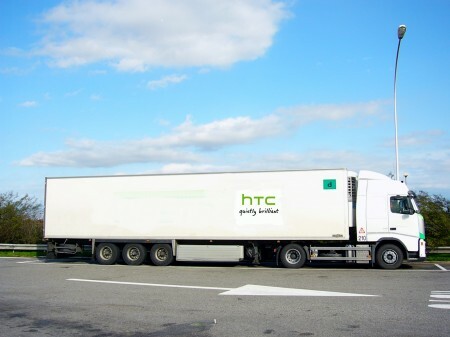 HTC will be visiting 11 cities in their specially-designed truck to help customers get more from their phones. 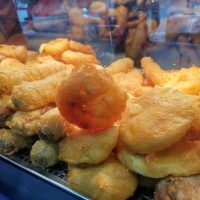 Starting on Friday in Manchester, they will be giving you hands-on time with some of their latest devices including the HTC Desire S and the HTC Flyer. The HTC Sense interface will be on show, as will the new HTC Scribe technology that we showed during Mobile World Congress. LONDON, UK – April 19, 2011 – HTC Corporation, a global leader in mobile innovation and design, today announces the kick-off of a roadshow designed to help retail staff and their customers get more out of their mobile phone experience. The specially-designed HTC trailer will visit 11 cities across the UK and Ireland over a six-week period, showcasing some of the many features of HTC Sense as well as the company’s 2011 product portfolio. Touring some of the most popular shopping areas of the UK, a team of HTC specialists will provide training sessions for retail store staff and will also be available to help new HTC customers learn how to get the best out of their phone. The state-of-the-art trailer will feature different zones, allowing visitors to explore some of the more popular features of HTC Sense through an interactive wall and get hands-on with some of HTC’s latest devices, including handsets such as HTC Desire S as well as HTC Flyer – the company’s first tablet. Visitors will also be able to take their picture on an HTC Flyer and explore their artistic side, using HTC Scribe to doodle on the image or add a message before uploading it to a mosaic screen that will build throughout the day as more images are added. HTC’s range of accessories will also be on display, allowing visitors to see how they can extend and enhance their mobile experience in the office, the car or at home. HTC’s dedicated training team will be on hand to demonstrate the different models, help new HTC users to set up their phones and advise those considering their next handset on the best HTC model for them. Private retail staff training sessions can be booked at the start and end of each day, allowing store staff to get to the heart of HTC products and learn more about the devices that will be on the shelves in the coming months.